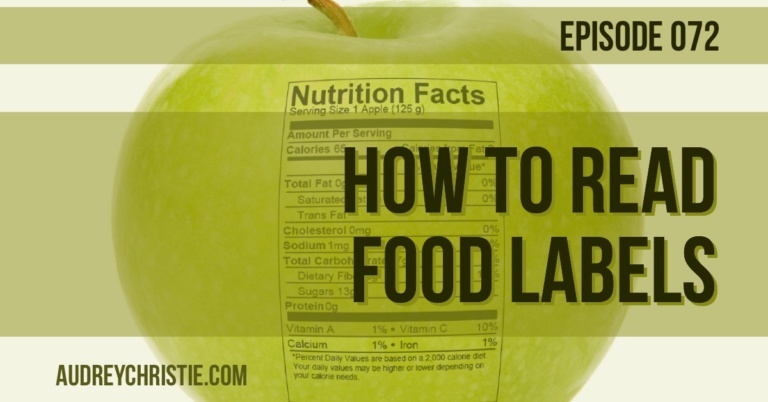 In this episode, you will learn how to read food labels and why you need to be reading food labels, as well as some of the top ingredients to watch for. Why do I need to read labels? In an ideal world, we would eat all whole natural vegetables and fruits and the freshest of meats and avoid packaged food altogether. BUT even the most mindful eaters, even the most prepared eaters, still have to rely on SOME packaged foods. Maybe it's just my family, but we generally don’t make our own mayo and mustard and I find that is true for most of the clients I work with. That’s all fine and good, but WHY do you need to take the time to read the labels? Here’s the thing, you are the first line of defense for what goes into your body, your home, and your littles, right? So we live in a time and age (and have for some time) where you can’t trust that just because it is on a store shelf it is safe for you to put on or in your body or in your home. The guidelines for what can be sold to people and called food is so loose it is almost non-existent, and don’t get me started on what is permitted in your cleaning, laundry, and cosmetics! As we get savvier as consumers, some food manufacturers use misleading tricks to convince people to buy these highly processed and unhealthy products. You can do your best by selecting to use natural plant-based products and shopping the perimeter of the grocery store. That is generally where the fresh foods are found like your produce and bulk bins. You know the unprocessed, whole foods you strive to eat. In these fresher foods, you are less likely to find unhealthy ingredients lurking. When you do dash down the center aisles for, things like condiments, beans, sauces, etc. take a good hard look at the labels they're adorned with. Do it before you put those pantry staples in your buggy. 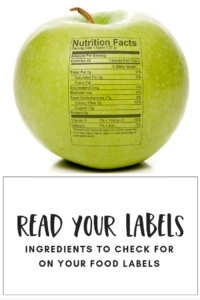 Labels can be confusing but it does get easier - there is a lot of information on them - and here’s the thing, it is still best to avoid packaged food, because as you will learn today, food manufacturers don’t have to be as transparent as you think they do. How do I read the label? First, don’t get distracted by the labeling on the front, its all marketing hype. All. Marketing. Hype. Studies show that adding health claims to front labels makes people think they are healthier than the same product that doesn’t list health claims on the labels. Unfortunately, manufacturers are often very dishonest in the way they use these labels. They use health claims that are misleading or simply 100% false. Take for examples boxed cereal, you can find a boxed cereal to cure just about any vitamin deficiency even high-cholesterol or heart disease! That is simply false. It’s best to just ignore the packaging completely. Now, many practitioners will tell you should start with the nutrition side of the label - you know - where you find the calories, carbs, fat grams, etc. It probably comes as no surprise to you, I am going to tell you something different. I disagree and frankly feel like instructing to read nutrition labels first falls in line with fear mongering and diet culture. If you want to look at those nutrition facts, fine, but I want you to first interpret the ingredients listed on the other side of the label. These ingredients are far more important for you and your wellness than the calorie count and fat grams. On the ingredients side, you will find the ingredients are listed on food labels by quantity. From highest to lowest. This means whatever listed first is the highest quantity ingredient. A good rule of thumb is no more than 5 total ingredients in food and at least the first 2 should be whole food recognizable. What I mean by whole foods is that they are at least recognizable and unprocessed. If you can’t pronounce or don’t recognize some of the ingredients, put the product back on the shelf! What do I look out for on the ingredient label? Many labels can be very misleading, and trans fats aren’t always labeled as such. Instead, they may appear as “shortening,” “partially hydrogenated,” or “hydrogenated” for palm oil, corn oil, or soybean oil. These yucky Trans fats are used to keep packaged foods from spoiling, but they are highly inflammatory for your human suit. Trans fats can also artificially raise your LDL cholesterol and increase your risk for cardiovascular troubles and blood clots. Instead, look for items with monounsaturated fats like olive oil, coconut oil or any foods that use unsaturated omega 3 fatty acids. Avocado oil is a favorite of mine, too! Refined grains take all the nutrients out of what could be a nutritious food item. White flour, white rice, white pasta, and white bread are stripped of fiber and instead trigger your blood sugar levels to spike. Steer clear from white starches, and choose healthier versions of your favorites instead. You might cook up some sprouted brown rice or zucchini noodles for pasta for a much healthier option you'll feel great about. Perhaps the most troublesome ingredient on the list, high fructose corn syrup is in so many shelf stable foods. And what’s worse, once the population gets acquainted with these ingredients that are harming them, they begin changing the names of said ingredients. sucrose, glucose solids, ethyl maltol, dextrose, maltose, and maltodextrin. If you must use a sweetener, try reaching for stevia, monk fruit sweetener or Yacon syrup. These are all quite easy to find in virtually any grocery store or natural food establishment these days. The list of dangerous chemicals is a long one, but you’ll be doing yourself a huge favor if you rid your home of any foods that contain any of the following: TBHQ, Polysorbates (60, 65, and 80), BHT, BHA, Sodium Benzoate, and Sulfites. Another one to watch out for is Sodium Nitrates and Nitrites: you’ll find this gruesome twosome in processed meats like bacon, hot dogs, and lunch meat. Ditch the processed meats and choose fresh, organic foods instead to avoid the long term health risks associated with these ingredients. If you have kids, this is one is most important. Read the labels to find the most color free ingredients you see. Avoid anything with blue 1 and 2, green 3, red 3, red 40 and yellow 6, which all have been shown to link to certain types of health issues you will certainly want to avoid. Did you know that in the UK in order to put food dye in food it must carry a warning label? (There is by-the-way a lot of foods and drugs in the food industry that are outlawed in Europe but permitted here. It’s really quite outrageous. 1. Download the Read Your Food Labels Ebook so you can take this info with you next time you shop and refer back to it often. 2. 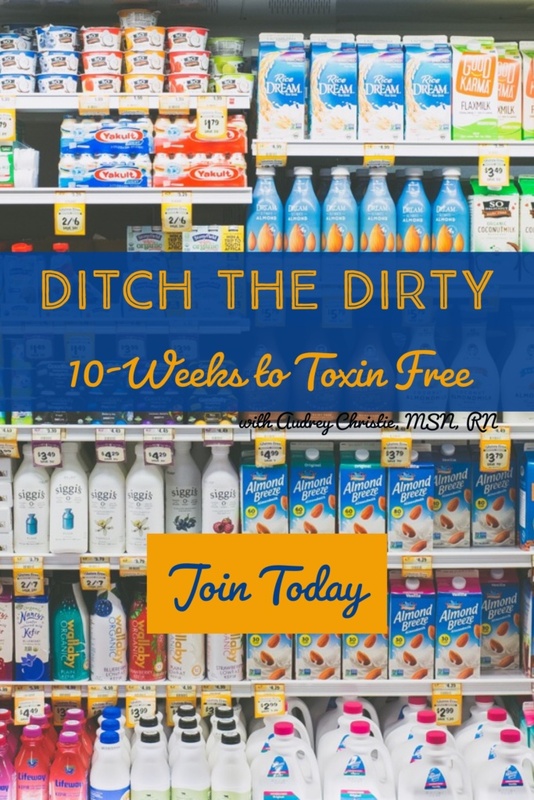 If you are ready to take a more serious step to get rid of toxins in your food supply, check out Ditch the Dirty - the simple and sustainable way to shift your habits to a healthier lifestyle. 3. If living a less toxic lifestyle suits you - and you want to learn more about things to watch out for in the products in your home. Check out the Essential Oils 101 class for free over in the Academy. Even if you think you know about Essential oils, you might not know about what is lurking in your cabinets. 4. Take the 3 cabinet challenge with your food products, pull 3 items from your fridge or pantry and look to see what's on those labels. Choose something you don't recognize as food, and then Google "dangers of _____" and see what comes up. 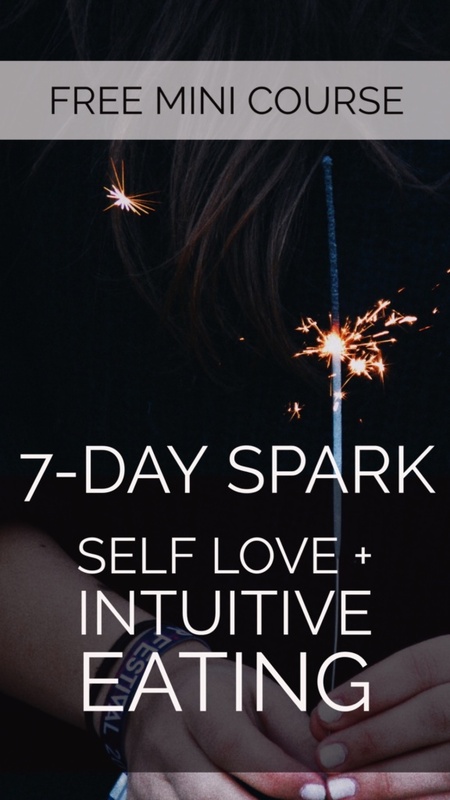 We will be talking about it in the Wellness Circle this week!